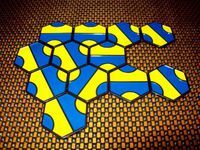 I created this geeklist in order to increase visibility of tile games. It is my experience that they are outnumbered by other genres or subset of games and are not widely known. Yet they deserve to be known widely because they tend to be more elegant, easy to pack up and set up, and more eye-pleasing than, say, chess. 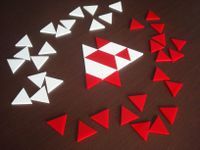 I think they are also difficult to design due to the fact that, unlike board games, designer's creative manipulation and imagination is restricted by material: there is no board to add into equation. 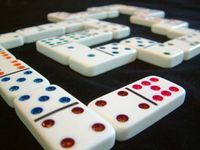 By tile games I mean a subset of games that: a) uses only pieces, (generally called tiles) to play game and b) they are utilized to build some shape, field or structure. 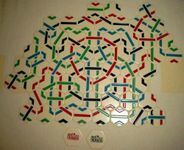 There is no board and no any other kind of piece (except tiles) in true tile games. Here are examples. 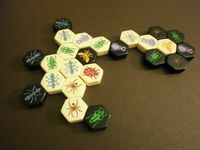 Hive, Dominoes, Trax, Tantrix, Palago, Qwirkle are tile games. Chess and go are obviously not. 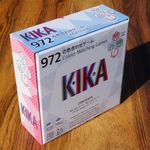 Mahjong is not a tile game because tiles (or, rather, cards) are not used to build some shape or structure. Carcassonne is not tile game either. It uses meeples. So, that said, what tile games could you add to this list? Help to expand this list and identify 1001 faces of elegance. I'll begin with one of the less well known ones. Sadly overlooked filler with simple rules, which offers straightforward fun and has beautiful artwork, combining art deco and retro sci-fi. Pure tile game that uses only and only tiles and nothing else. All tiles are identical. It is an eye-pleasing treasure that deserves to be known well. 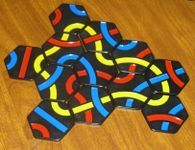 I have never played this game but it is a pure tile game played with identical hexagonal tiles (like Trax). Shapes created in this game can be really interesting. 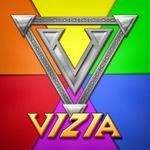 Another pure tile game that uses only tiles and nothing else. Unlike Trax and Palago this one has randomness/luck element. 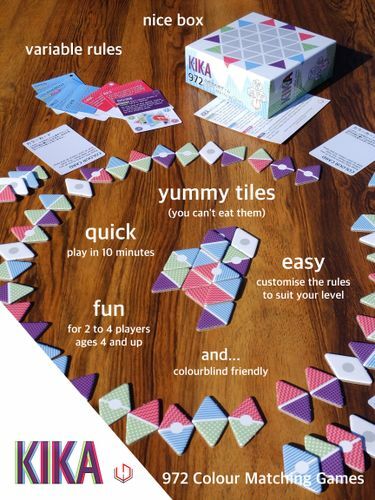 A pure tile game where every piece moves in a unique way. So far the most popular tile game (at least in the US). So far the oldest tile game I know. Tiles do not move but every one of them is unique. This one has luck/randomness element. It is very popular (not necessarily in the uS) and I played a lot when I was a kid. 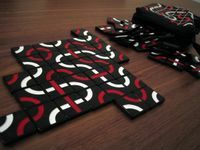 Spangles is another tile game played with identical tiles and without board. What is unique about this game is that tiles are triangular. It is designed by the same designer who created Trax. 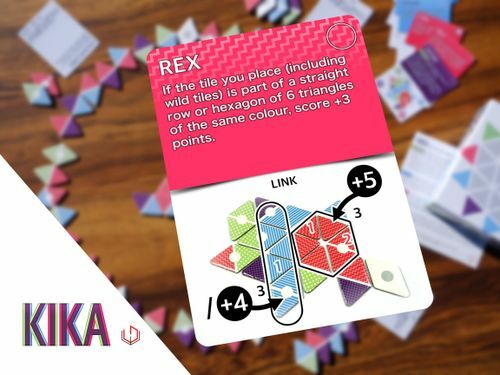 A game similar to Tantrix. Not sure if this one qualifies, so feel free to remove if it does not. The primary parts of the game are wedges in six different colors, each comprising 1/6 of a circle. The object of the game is to form completed circles (1 pt), with additional points for players who either complete a circle comprised of only two, alternating colors (2 pts), or one of each of the six colors (3 pts). The colors must be placed in a manner consistent with the color wheel (as seen of the box). Incidentally, I picked this up for $2 during a clearance sale, and I've played it around 15 times with my wife and/or kids as a light, small box, easy to teach game. Well worth $2! Very simple game play: Choose a tile, place it, score for colours that match, take tiles as points (you may play these in the future). Add variable rules and you get 972 games out of a few cards and 64 tiles. There are small tokens in the punch card which are not listed as components and will become part of some expansion in the future. Here is an example of a card that you can add or not. The back is another rulecard. The fronts and backs were matched so that there would be no conflict between the rules.